Pumpkin season is once again in full swing and each recipe featuring the fall favorite is better than the last. But if you want to serve something truly unique that goes beyond the usual pumpkin soup, then we have an extra special treat for the salty tooths out there. 1. 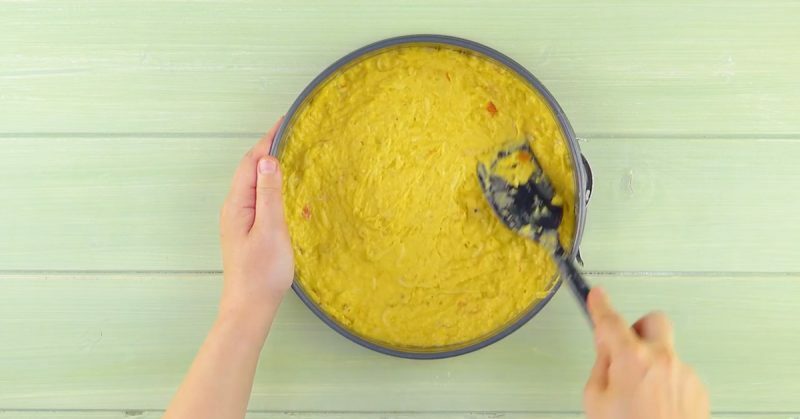 Mash the cooked pumpkin and boiled potatoes together in a bowl. Add the milk, oil, and eggs and stir everything together until smooth. 2. 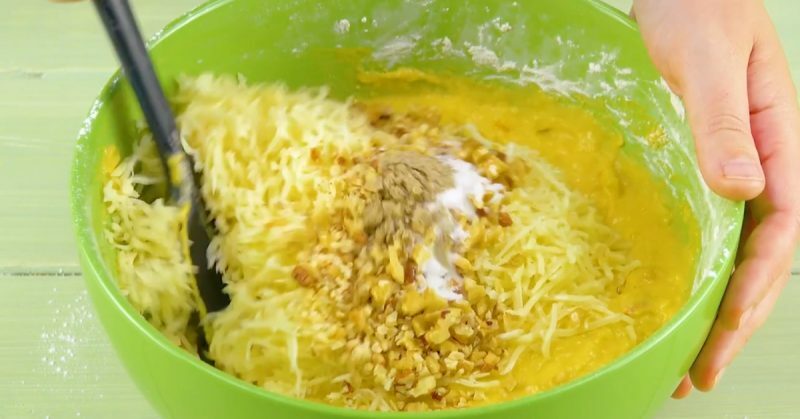 Carefully pour the flour, starch, and baking powder through a sieve and add the ingredients to the potato pumpkin mixture. Then stir in the finely chopped walnuts, cheese, salt, and pepper. 3. Add the mixture to a 10-inch cake pan and bake at 355°F for about 60 minutes. 4. 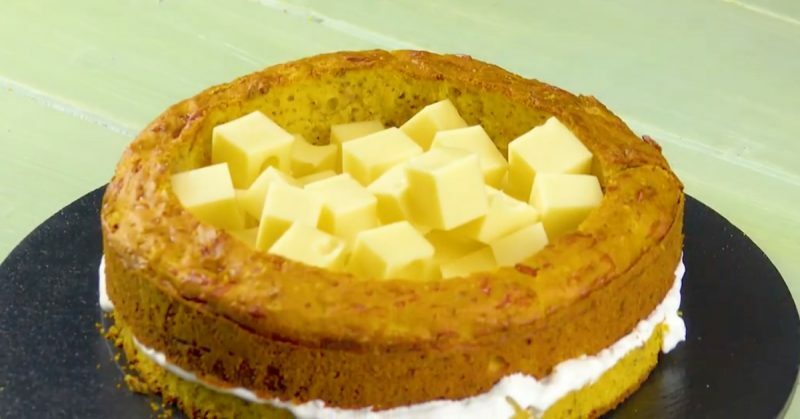 Remove the pumpkin cake from the oven and let it cool down. 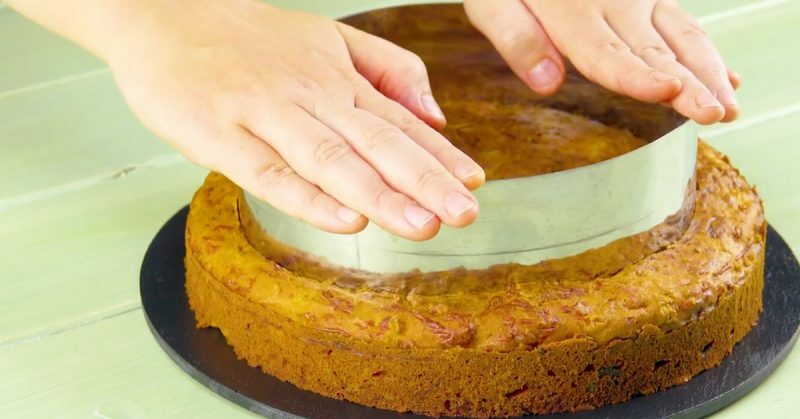 Then use a ring to cut a big circle out of the cake, creating an outer dough ring. Set this ring aside and cut a small edge segment out of it. 5. Beat the cream until stiff, stir in the freshly grated horseradish, and season the mixture with salt. 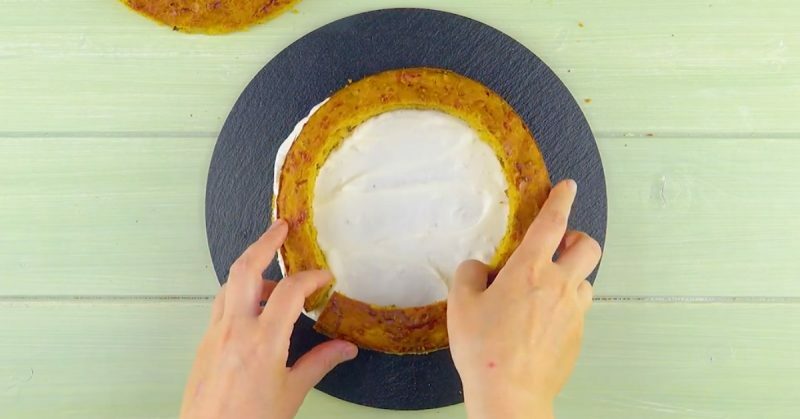 Spread a layer of the cream on the bottom plate of the pumpkin pie. Then put the dough ring on it, from which you have cut out a small piece, and put the ends of the ring together. Its "new" diameter should be about the same as the bottom plate. Finally, press the ring onto the horseradish cream mixture. 6. 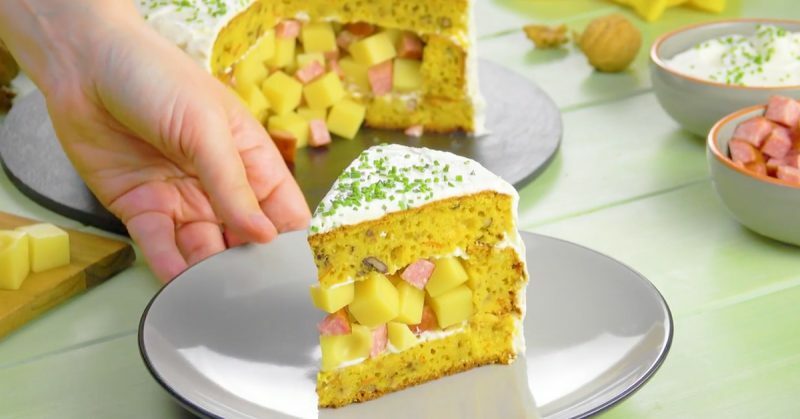 Cut the kielbasa and Swiss cheese into cubes and fill the inside of the cake ring with the delicious duo. 7. 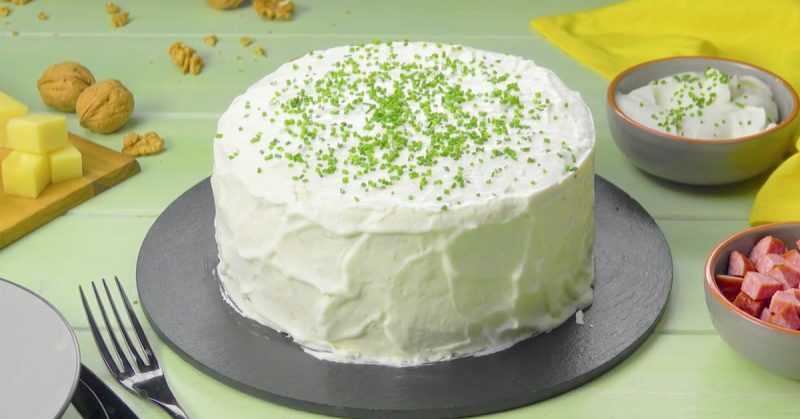 Lay the remaining cake half on top and dress it up with a layer of horseradish cream. 8. Garnish the top with fresh chives and your savory pumpkin cheese cake is all ready to go. This dish, while perhaps unexpected, is a a real treat for those looking for a hearty meal, and believe it or not, it tastes even better cold! 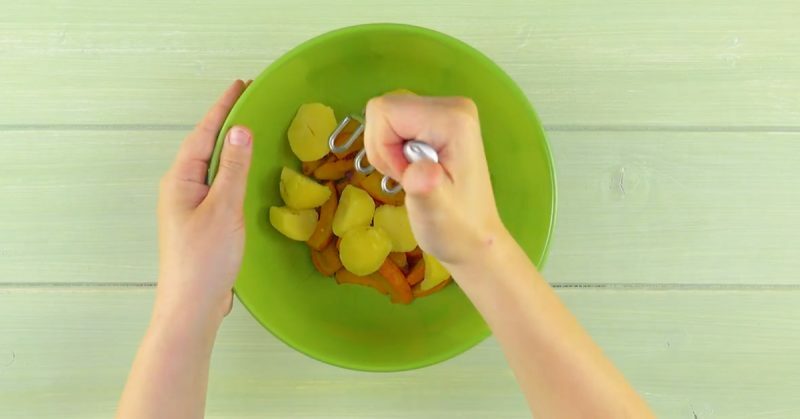 The recipe for pumpkin gnocchi in cream sauce featured in the bonus video can be found here.